The location was amazing, the cleanliness was just above standards, the owners were always approachable and available to answer any query or to give you advice. There is the La Gaulette supermarket at 1.5km away, and it has everything you need if you wish to eat in your little apartment. The accomodation was super new and clean. The owner’s son was very hospitable and even accomodated a late check out for us so we could shower after our dolphin trip before the airport. The place was really clean and comfortable and the hosts including their neighbor were very nice and helpfull. Rajesh and Pricilla were extremely nice and helpful! Great location, well managed, clean, and very nice view from the balconies and the rooftop terrace! Nice beaches and a good starting point for trips around the island. Clean and proper! Friendly owners! The apartment was spacious and amazing. It had everything we need. In between a nice garden we had a great place to enjoy our first days in Mauritius. From the large balcony we saw the ocean and the famous mountain Le Morne. Rajesh and Priscilla were very kind and helpful. Even a cleaning lady came every day to clean our room. The highlight was the jacuzzi on the rooftop of the house. The view was amazing especially the sunsets. Also the location close to the Le Morne Beach as we’ll as a supermarket and restaurant (with amazing food) was outstanding. We highly recommend the Luxe Exotica to everybody who wants to explore Mauritius. Perfect situated, clear, modern. Very kind owners. Everything was as good as advertised, great apartment. Hosts were very friendly and very helpful. Raj and his wife were so nice and helpful to us that I can only highly recommend this accomodation. 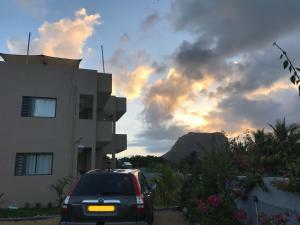 Not just because their friendly approach but also because the apartment was spacious and very clean (everyday housekeeping), located in calm part of a town with beautifull view to the Le Morne mountain and the ocean. 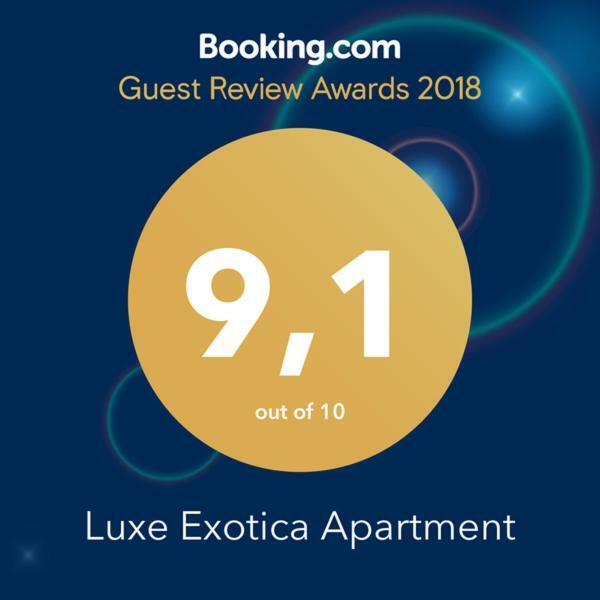 Lock in a great price for Luxe Exotica Apartment – rated 9.1 by recent guests! Located in Coteau Raffin in La Gaulette, Luxe Exotica Apartment offers an outdoor pool and hot tub. Flic-en-Flac is 11 mi away. Free WiFi is featured throughout the property. The accommodations has a seating and dining area. Some units feature a terrace and/or balcony. There is also a kitchenette, fitted with a microwave. A toaster, a fridge and stovetop are also provided, as well as a kettle. Free private parking is also available on site. Towels and bed linen are available. Luxe Exotica Apartment also includes a barbecue. 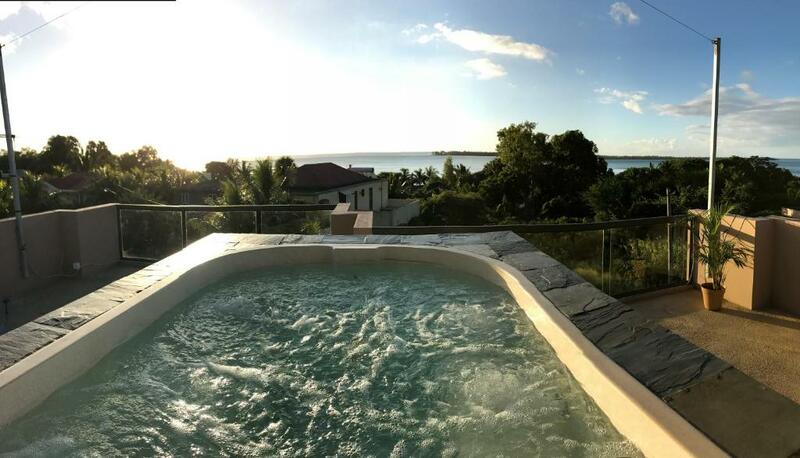 Trou aux Biches is 30 mi from Luxe Exotica Apartment. 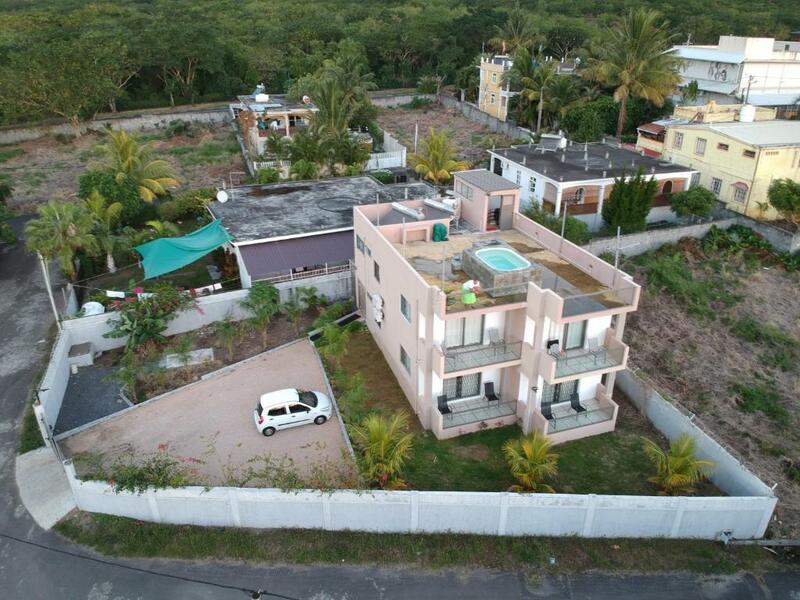 The nearest airport is Sir Seewoosagur Ramgoolam Airport, 21 mi from Luxe Exotica Apartment. This property is also rated for the best value in La Gaulette! Guests are getting more for their money when compared to other properties in this city. When would you like to stay at Luxe Exotica Apartment? This apartment has a soundproofing, spa bath and air conditioning. Apartment is newly built, modern and classy. All apartments have terraces with sea view and the common terrace (rooftop) is fitted with a full spa zacussi. Found in a peaceful area, it comprise of added features such as a 24 hour CCTV security and secured parking. Rajesh is a Chartered Accountant (FCCA) and also holds a Masters in Business Administration (MBA) - We are in the business of property rental with tourists for quite some time. So experience dealing with, and satisfying, and meeting our guests' needs is something we are used to. Our pledge is to always exceed our guests' expectation. Neighbourhood is calm and safe. The area comprised of several other rented facilities close to each other. Other facilities such as restaurants, Supermarket and the beach are very close - all within 1 kilometer. House Rules Luxe Exotica Apartment takes special requests – add in the next step! Please inform Luxe Exotica Apartment of your expected arrival time in advance. You can use the Special Requests box when booking, or contact the property directly using the contact details in your confirmation. It would be amazing if the kitchen would be equipped with spices and oil to make the experience even better. apartment is very nice, modern, comfortable. Whole villa is super, the pool should be bigger. Nice and strategic position close to le morne. Supermarket nearby (500 m). Owners very friendly And helpful. Big apartment, with a/c. Jacuzi on top roof. Communication, key handover, service, everything was perfect. Here we were really satisfied. I recommend this accommodation. It was my best stay in Mauritius ! 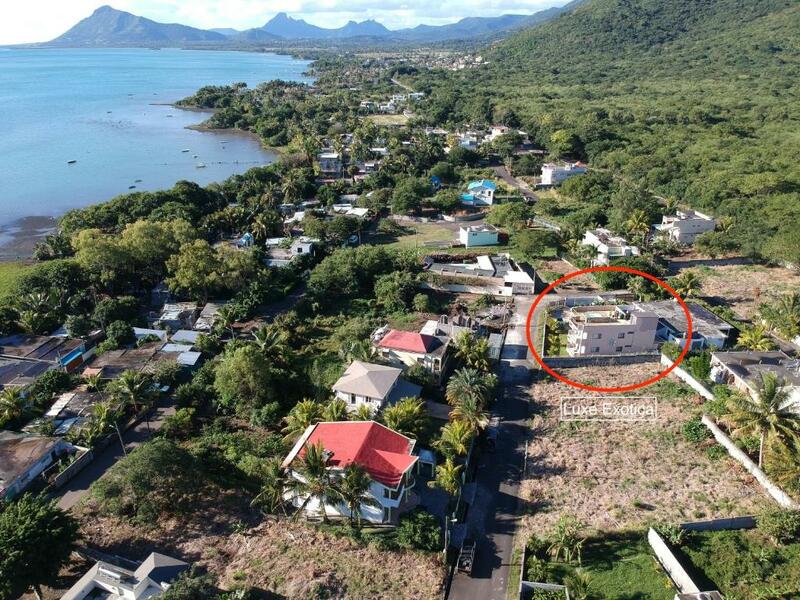 The great location in Le Morne. A car is needed. We felt in our apartment like at home. Spacious and comfortable, cleaning every day, so also very clean!The kitchen is useful.Parking in the garden. Nice owners. Le Morne is just amazing and beautiful place. Thanks fot very great stay. Only improvable thing is the fridge. It's very loud and makes sounds as if a cement mixer is working the hole night. Guess it's just due to the fact that it's an open kitchen, so that the sounds can directly reach the living an sleeping room. The apartment is very clean and the owners are just wonderful. They are very friendly and helpful and they show interest in every needs of their guests. The Interieur is very new, practical and it makes gives the apartment a relaxing touch. The appartment was very nice, clean, with balcony. The owner also mentioned interesting places around and helped us to organise boat trip to see dolphins. There is the supermarket near the property - 1km and around 3km to nice beach. There is very nice nature in this area. Our arrival was delayed, but everything was easily arrenged by sending some emails. We must mension the neighbor Navin, who helped us with the gate and also sold his own business to us. He arranged daytrips to swim with dolphins on his own boat. The appartment was satisfyingly equiped for 2 persons. It was clean. They opened up the washing fascilities for us by request. Good parking. Great hosts, always available via what´s app or via the maid. Felt very secure there. Apartment and kitchen were cleaned every day. Great location to go to LeMorne and Black River Nationalpark.